Al Lamb’s Dallas Honda - If you’ve ever wanted to transport yourself into the future, this is your machine. By design, the NM4 shakes up the status quo and explodes conventional barriers in order to attract a whole new segment of forward-thinking riders to motorcycling. Beneath its futuristic bodywork there’s a 670cc, liquid-cooled, parallel-twin engine with four valves per cylinder, automatic dual-clutch transmission and ABS. 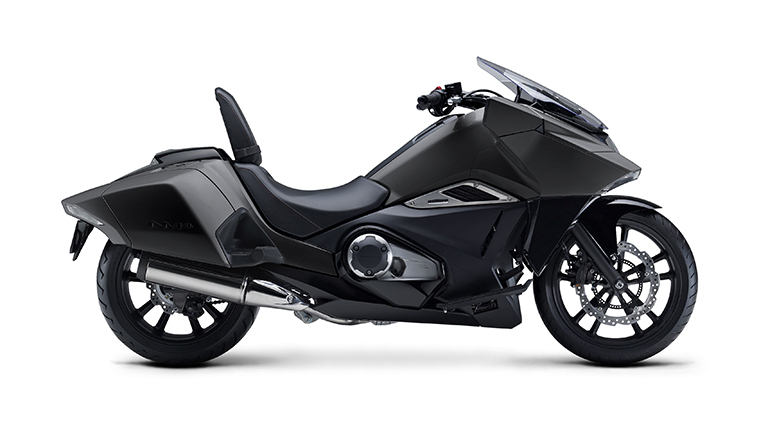 Storage pockets in the fairing plus saddlebags add real-world utility, and the rear turn signals are neatly integrated into the rear bags. The rider settles easily onto a comfy seat that’s perched a low, 25.6 inches off the ground, and there’s also a cool and practical rider backrest feature—the passenger seat flips up and can be set at three different angles and slides fore and aft to one of four positions. Full LED lighting lets the NM4 stand out whether it’s coming or going, the fat, 200mm rear tire imparts a cool look, and the meter display can be illuminated in any of 25 different color choices—nearly one for every day of the month.